The problem with the inks with gold or silver dust in them is the need to give your pen a little shake before writing. Otherwise you will not get the full glitter effect. Diamine Blue Pearl is similar. 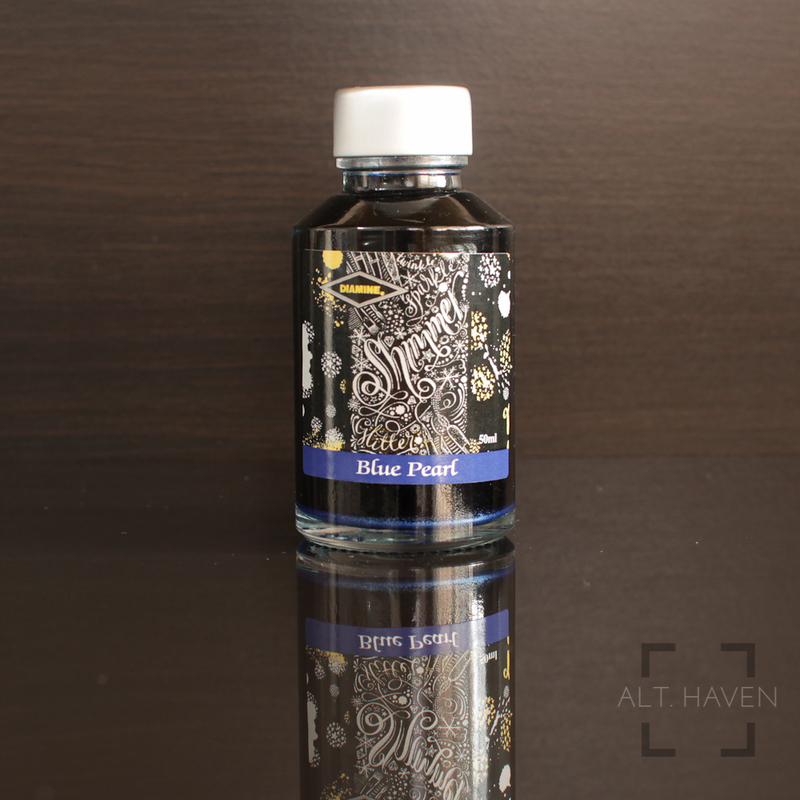 This is a dark blue ink with silver dust that shades beautifully in its own right. I’ve had Diamine Blue Pearl in my Pilot Custom 74 for more than 2 months and I didn’t have any clogging issues. 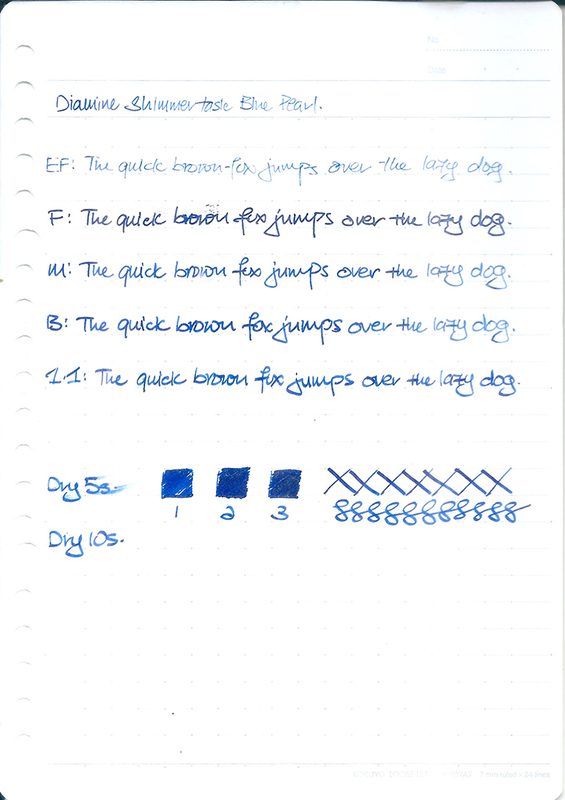 However, do note my TWSBI Mini EF nib is really not happy with the ink and it skipped and hard starts. Overall, it’s a beautiful ink with silver dust enhancing it.